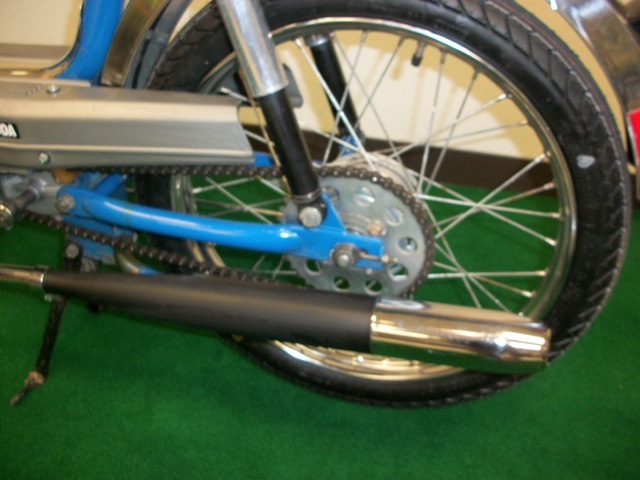 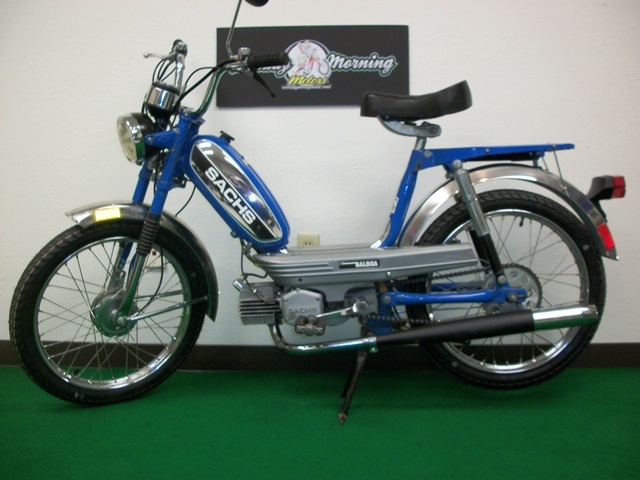 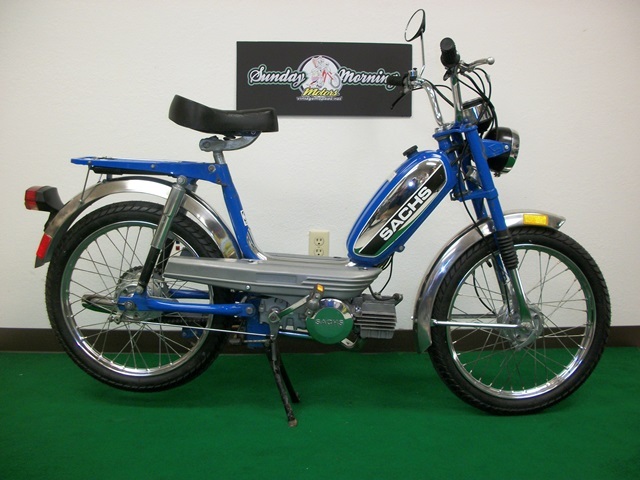 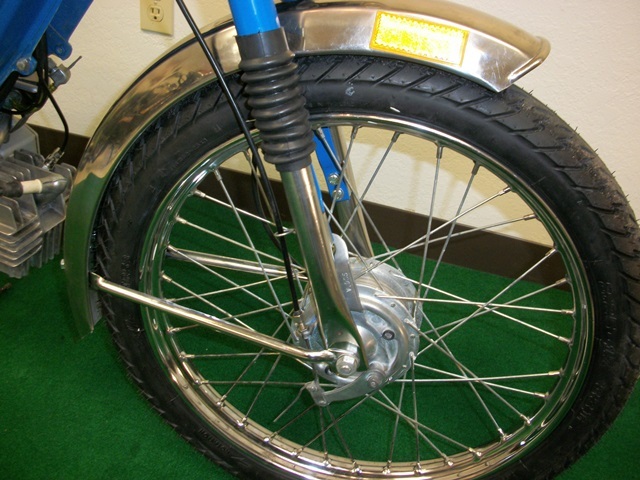 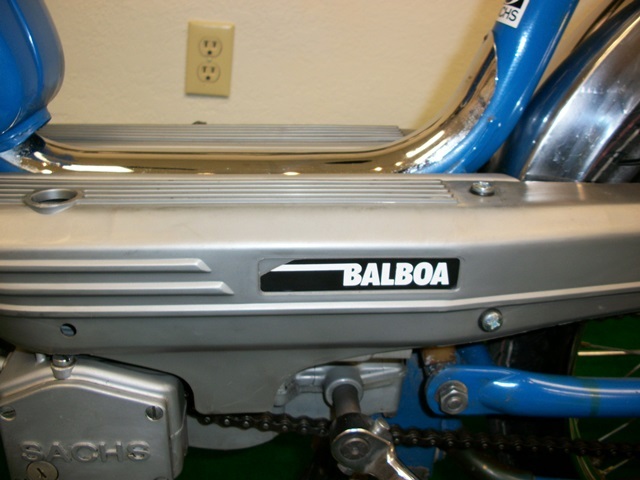 Here is an excellent reconditioned German made traditional step-thru moped. 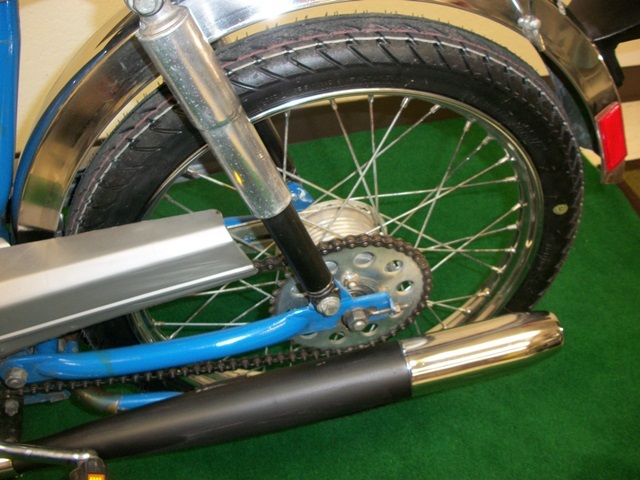 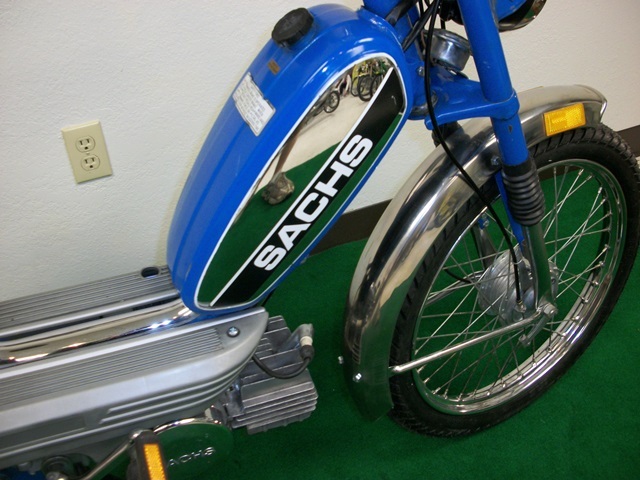 It is a true Sachs which means that the entire bike, chassis and engine, were manufactured in former West Germany. 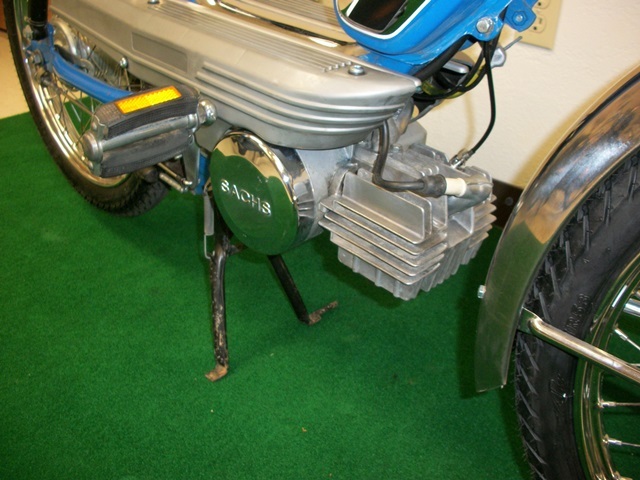 The uniqueness of this moped is that it is powered by a Sachs 505-1D engine which was more commonly found in sportier top-tank models like the Prima G3. 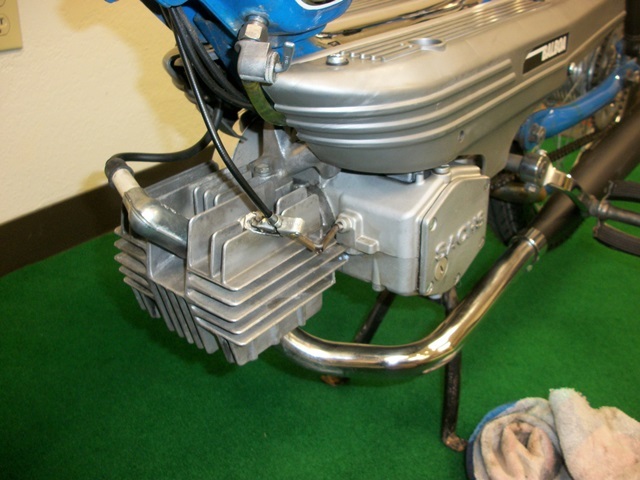 In its stock state, it will run strongly at 30 mph all day long but has the capability of speeds over 40 mph with minimal enhancements. 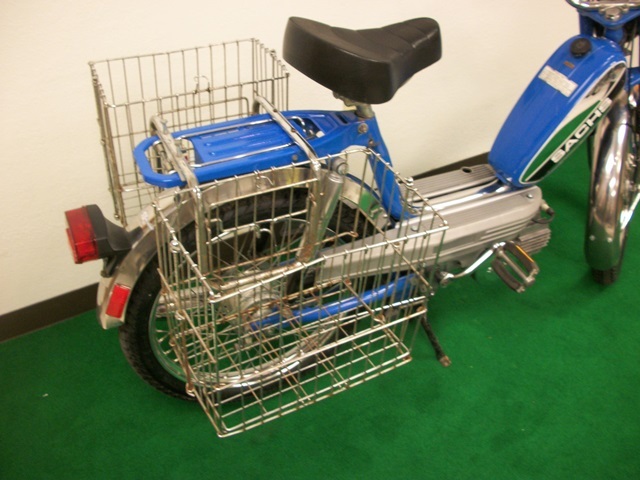 If you are going to use this retro-ride as a grocery getter, we have vintage folding baskets available for installation. 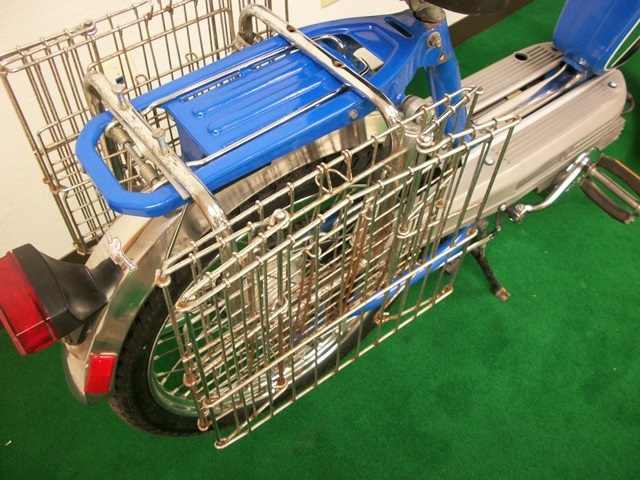 Other options available are soft vinyl bags and original blinker systems. 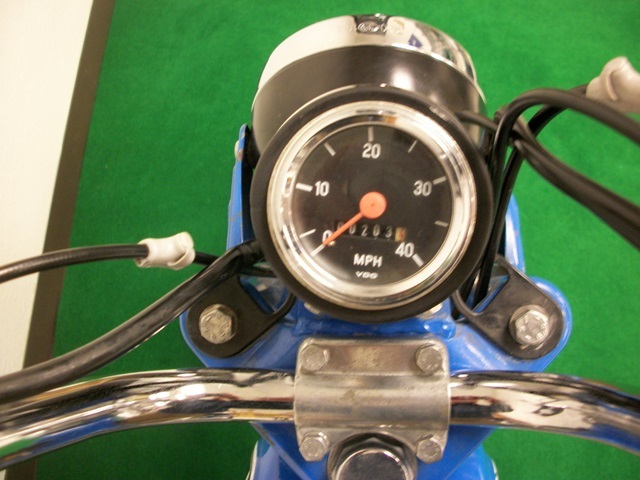 Test rides are strongly encouraged!